Starting pitchers are the cornerstone of every fantasy baseball team, but you can't draft a superstar pitcher with every draft pick. We all know that nothing is worse than watching your batters tear it up in a given week, only to see your starting pitchers stink it up in the same week, totally wasting your offensive output. 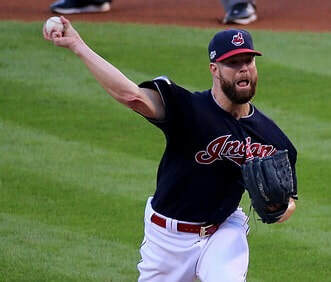 No matter how much your offensive fantasy stats matter, your starting pitchers are the heart of your fantasy roster, so you absolutely must do your homework in preparation for your fantasy draft: rotisserie, head-to-head, auction or otherwise. Madison Bumgarner put up really good fantasy numbers in 2017, but his ridiculous injury was frustrating. Why is it that not as much attention is paid to drafting the starting pitchers on your fantasy team? Even more importantly, why does it seem that your starting pitchers either make or break your whole season? Statistically, your starting pitchers contribute to fewer categories than anyone else. In a typical 5x5 league, your starting pitchers only contribute to Wins, WHIP, ERA and Strikeouts - that's only 4 of the 10 categories. If this is the case, why is it that when your starting pitchers have an of week, you have almost no chance at winning your fantasy matchup tat week? When it comes to pitching stats, they're all connected, more or less. If your pitcher has a low WHIP, chances are good that he must also have a low ERA. After all, if no one gets on base, no one can score. Also, if your pitcher has a high number of strikeouts in an outing, that means he probably pitched a relatively high number of innings in the game. And if his manager left in the game for a high number of innings (or a "Quality Start"), chances are good it was because he wasn't giving up a lot of base runners (low WHIP) and, therefore, he wasn't giving up many earned runs (low ERA). Conversely, if your starting pitcher takes the mound and gives up runs and hits right away, he's probably not going to stay in very long. Obviously, this leads to a high ERA, a high WHIP and probably a lower number of strikeouts and little to no chance at getting the win. With all these stats being intertwined and reliant upon each other, you really need to draft your starting pitchers wisely. And if you don't manage to do that, you'd better scour the waiver wires early and often to make up for any pitching woes after your draft. As such we have included an early look into the top 100 fantasy starting pitchers for 2018 in the list below. You'll also notice we ranked them in 4 different ways depending on what you and your league(s) see as most important. There's an explanation of each ranking method at the bottom of the stats. We thought it would be wise to explain the list of the top 100 pitchers on the left so you know where the numbers came from. In short, the fantasy stats on the left are pure, uncut stats from last season. We did make a couple of adjustments to the list (i.e. 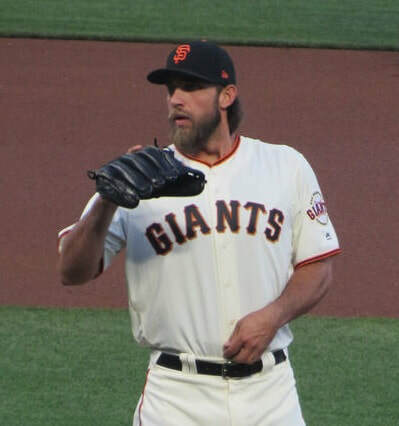 : we brought Madison Bumgarner higher on the list as an obvious anomaly from last year's fluke injury), but other than that, the numbers don't lie. These are the actual stats that determine the success of the starting pitchers on your fantasy team. CHECK BELOW THE STATS FOR A QUICK EXPLANATION AND INSIGHT INTO THE IMPORTANCE OF EACH ONE. WHIP: this is the most-important stat to look at. Fewer base runners mean fewer runners and fewer runners means a lower ERA and more wins... usually. ERA: this is the second-most important when determining what fantasy pitcher to draft. Some pitchers traditionally pitch better when they have runners on base, hence they have a disproportionate WHIP as compared to their ERA. Still, look at WHIP first, then turn to ERA as your second factor in your draft. K/9 (Strikeouts per 9 innings): the "Total Strikeouts" stat has always driven us nuts in fantasy leagues. WHIP is an average; ERA is an average, but then total strikeouts is just an amassed statistic reliant upon the schedule (i.e. : 2 starts in one week) and/or innings pitched. Regardless, to determine how good a pitcher actually is at striking guys out, look at the average per 9 innings, just like you would his ERA and his WHIP... well, WHIP is per 1 inning (for some reason), but anyway, you get the drift. K/9 is more important than total strikeouts when drafting a team and especially when setting your lineup. Innings Pitched Per Appearance: This is a really helpful stat when you're looking for a starting pitcher who can help you across the board. A pitcher who pitches a lot of innings is typically left in because he's a god pitcher (low runs allowed, fewer base runners allowed, etc.). As he eats up more innings of scoreless ball and fewer base runners, he'll also bring your team ERA and WHIP down. Wins Per Start: Total wins isn't a totally useless stat, but it relies on how good that pitcher's team is, the run support he gets, whether his pitching opponent is a scrub or a stud (i.e. : if he pitches against the Dodgers, is he facing Kershaw or Ryu?). Going by the average number of wins per start gives you a little better idea of what to expect when you have a pitcher in your lineup, but it's largely a stand-alone stat as compared to the others that are reliable averages. Games Started vs. Appearances: this is more of a check and balance when looking at all the stats. A guy like Lucas Giolito ranked really high based on least season's stats, but he only pitched in 7 games. Now, all 7 appearances were starts, so that leads us t believe he's at least close to being the real deal, but, guys with few starts as youngsters often show fatigue around August and September of their first full season... then there's Randall Delgado who put up quality numbers, but he only started 5 games in his 26 appearances. In this case, he'll be available in most leagues as either a Starter or or Reliever, giving you more flexibility with your lineup. It's better to start a good reliever who will keep your WHIP and ERA down instead of a crappy starter who doesn't get Wins and hurts your team WHIP and ERA.